I used to be not a fan at all of spiced cookies. It’s not because I think they have a funny taste or anything like that but because of sheer unfamiliarity. I guess Filipino cuisine, though it has its sweet side, does not have many cookies perfumed or flavored with sweet spices such as cinnamon, nutmeg, etc. But since this is a quintessential winter and/or holiday cookie, I thought I ought to give it another try. I don’t like a cookie though that’s super heavy on ginger taste (though I love ginger and often use it in cooking – for savory food mostly though!). Just not my cup of tea. But when I saw that this cookie has pretty much an even distribution of spices, I thought why not? If it’s too gingery then I won’t do it again….but guess what…love at first bite is what I experienced when I took a bite of this moist and chewy – truly perfectly spiced cookie! That explains the photo above – one bite is enough to get you hooked on this. I love that the cookie is kinda crunchy on the edges but so soft in the middle! Proof that this is a great recipe – my son William just couldn’t get enough of this! It’s also a wonderful recipe in that you need not hurry to cook it right away (how wonderful is that!). It can be prepared up to 8 hours ahead. Love that you can prep this hours before and then just quickly roll them into balls and then bake them! I am just happy I found another lovely cookie to have during the holidays and for my hot cup of tea! In a bowl, whisk together the flour, baking soda, cinnamon, ginger, nutmeg, cloves and salt. Set aside. Using an electric mixer set on medium speed, beat together the butter and brown sugar until light and fluffy, roughly 3 minutes. Add the egg, vanilla extract, and molasses and continue to beat just until combined. Scrape down the sides of the bowl with a rubber spatula. Reduce the speed to low and add the flour mixture, mixing until blended. Cover the bowl and refrigerate for at least 1 hour or for up to 8 hours. After the desired hour of sitting or refrigerating is finished, preheat the oven to 350°F. Prepare 2 baking sheets by lining them with parchment paper or use non-stick cookie sheets. Place a large sheet of waxed paper on a work surface and sprinkle it with the granulated sugar. Using your palms, shape the dough into balls 1 1/4 inches in diameter. Then roll the balls in the granulated sugar, coating them evenly. Arrange the balls on the prepared baking sheets, spacing them about 2 inches apart. Using the tines of a fork, press the fork into each cookie, pushing down to create a decorative top. Bake until just set and lightly browned, 10 to 12 minutes. Remove from the oven and let cool on the sheets for about 5 minutes. Gently transfer cookies to racks and let cool completely. Store in an airtight container at room temperature for up to 1 week. Note: Do not overcook. The middle/center part of the cookies should just be somewhat soft and spongy when you take them out of the oven. If you do otherwise they will end up crunchy and hard, unless that’s how you want them! 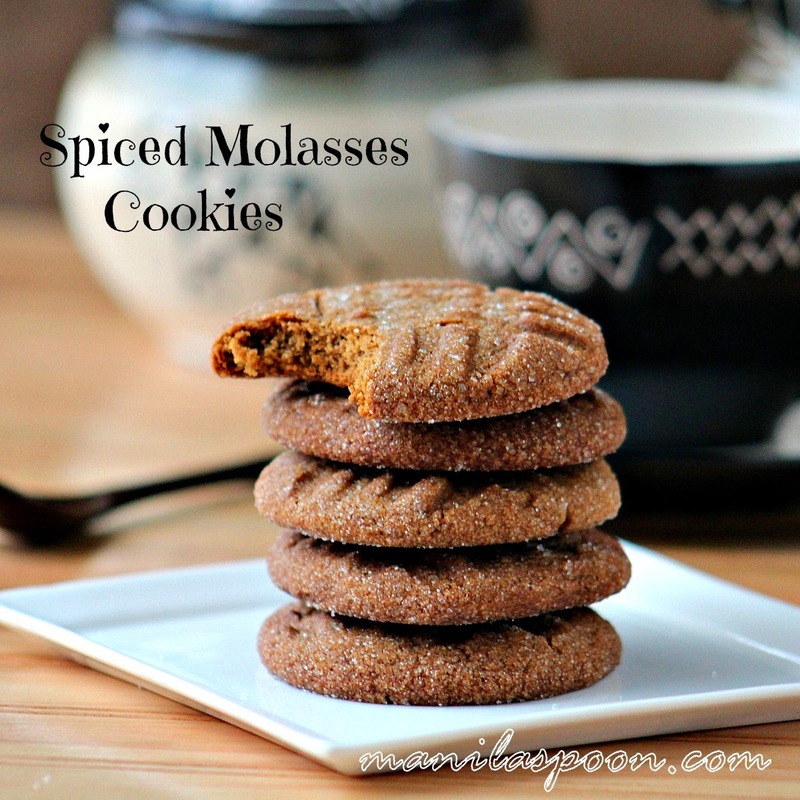 Happily adapted from Spiced Molasses Cookies from Williams-Sonoma. If you like what you see and would like to receive new recipe updates, feel free to join our site or like us on Facebook. Happy browsing! Previous Post Everything Thanksgiving – Recipes, Decor, Crafts, Ideas and so much more! 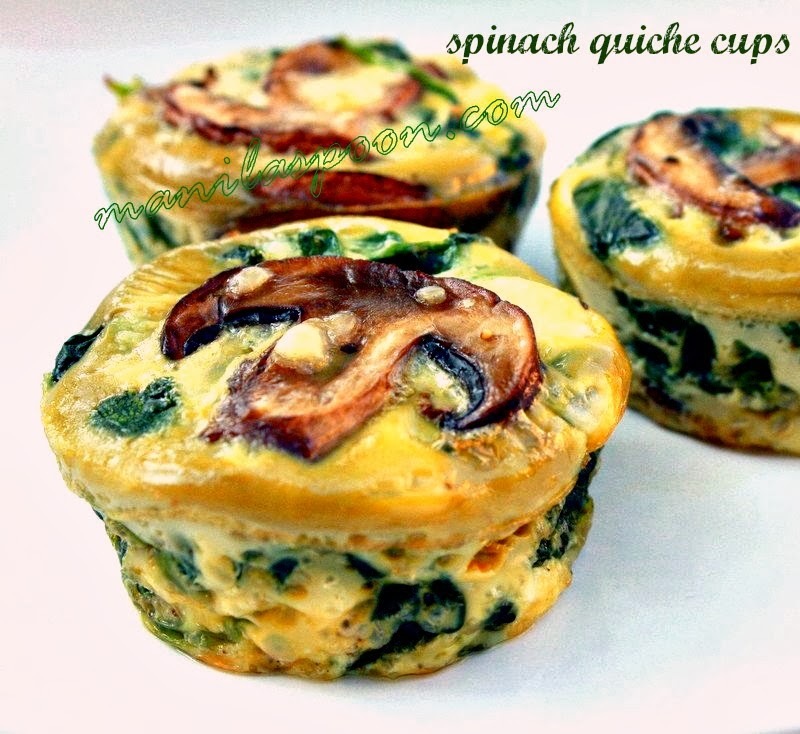 These sound delicious… going to pin them so that I will have the recipe at my fingertip. Hope you like them Marlys! Thanks for stopping by! Things look great! I'm going to make them for potluck on Saturday! Wish I could try one now and great photo too! Thanks, Joanne! My son loves this a lot and I do, too. Please enjoy!